As shown in my Sephora haul HERE, the Natasha Denona Sunset Palette is one of the most popular eyeshadow palettes of 2017. 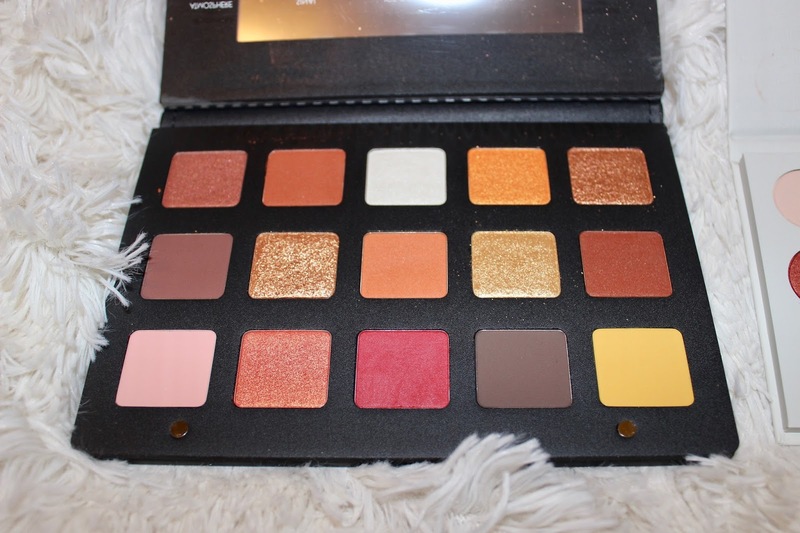 The once-limited edition palette could not stay in stock on Sephora's website restock after restock. No, seriously, it sold out in a matter of hours! Natasha Denona decided to make the palette permanent and I am so happy they did! Natasha Denona eye shadows are luxurious to say the least. The pigmentation is excellent, they last all day without creasing, and the foiled shadows are blinding. But with that, comes the heavy price tag. 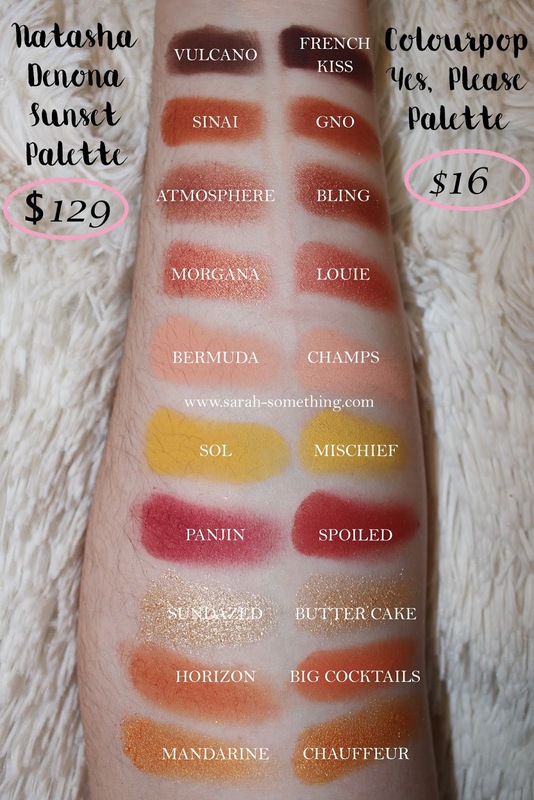 The palette runs $129 before tax which is not so practical for the everyday gal; but have no fear. I found the perfect dupe. The best part? IT'S 16 DOLLARS! Yes you heard me, $16! 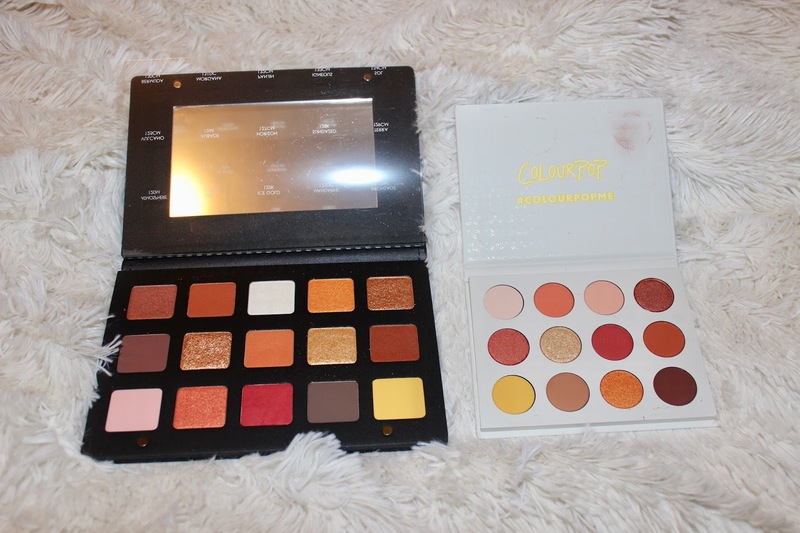 The difference between the two eyeshadow palettes is $113! Ladies and gentleman, I introduce to you, the Yes, Please! 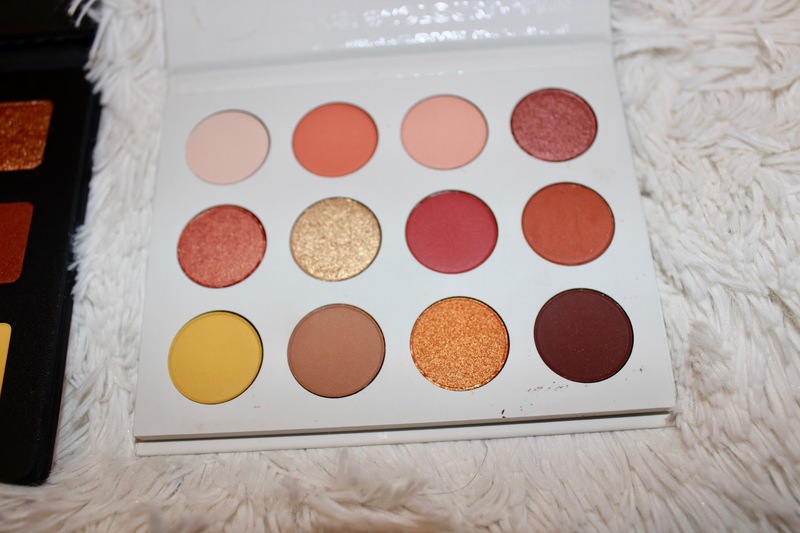 palette by Colourpop. Now to the nitty gritty. 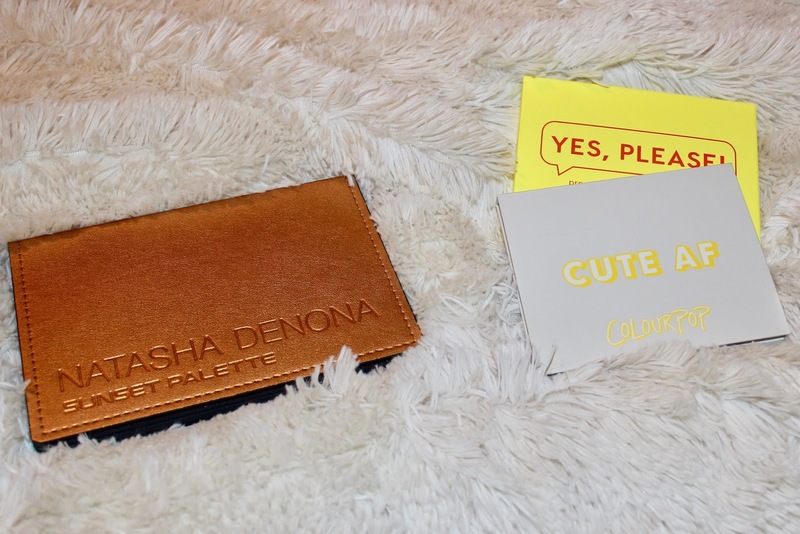 As you can see, the Natasha Denona palette is much larger. It comes with 15 eyeshadows, with each pan size being 0.08oz. The Colourpop palette comes with 12 eyeshadows and each shadow has 0.03oz of product. 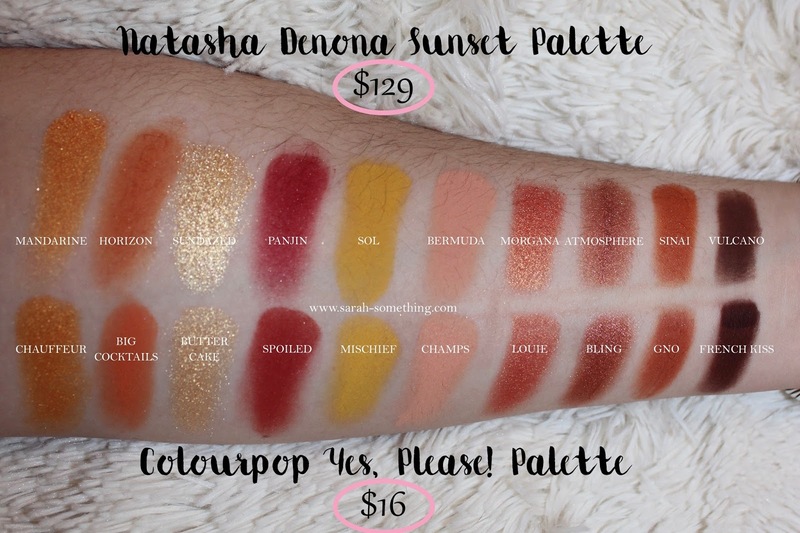 If you break down each palette, Natasha Denona's palette will run you $8.60 per shadow. Meanwhile, each Colourpop shadow will only cost you $1.33 a pop. The proof is in the pudding though, right? 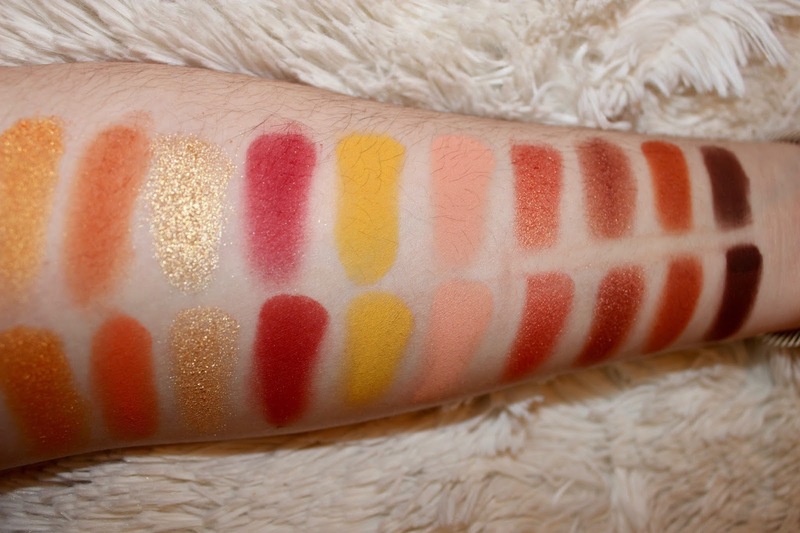 Check out the swatches below to see side by side comparisons of the eyeshadow palettes. They are nearly IDENTICAL! 1. The ND shade "vulcano" looks lighter and patchy around the beginning and end of the swatch compared to Colourpop's "french kiss"
2. ND's "panjin" was streaky and I went over the swatch more than once and it looked faded compared to Colourpop's "spoiled." Red pigments are harder to work with, but come on, a $16 went on smooth as butter with one swipe! 3. "Horizon" from the ND palette is CRUMBLY. You can see in the picture the flakes that gathered on the edges of the swatch. Colourpop's "big cocktail" went on effortlessly. 4. A lot of the ND foiled colors had so much fall out that the palette got very messy and fall out got mixed into other eyeshadow pans. 5. The price point. $129 is a VERY expensive price for an eyeshadow palette. What is more disappointing? The dupe not only beat the ND palette, but it is $113 cheaper. $16 beat out Natasha Denona! Colourpop isn't even known for their pressed powder shadows! They started their brand with their eyeshadow singles that had a wet, puddy consistency. 6. It has to be mentioned twice. THE PRICE POINT FOR COLOURPOP... IT IS EVERYTHING. The new Maybelline x Gigi Hadid collection palette that just launched was $29.99 for a "drugstore" brand. Colourpop's palette is HALF the price you see for a palette in Walmart and Target. That is so awesome! 7. I tested out both eyeshadow palettes [one palette on each eye] and the Colourpop shadows blended seamlessly and lasted all day, just like Natasha Denona. 8. For every new email sign up on Colourpop's website, you can get a $5 coupon off for your first purchase. That makes the palette $11 before tax and shipping! Living, breathing, and dying for this! I have been waiting for this post since you snapped about this yesterday! I just bought the colourpop palette! :) I can't wait to try it! 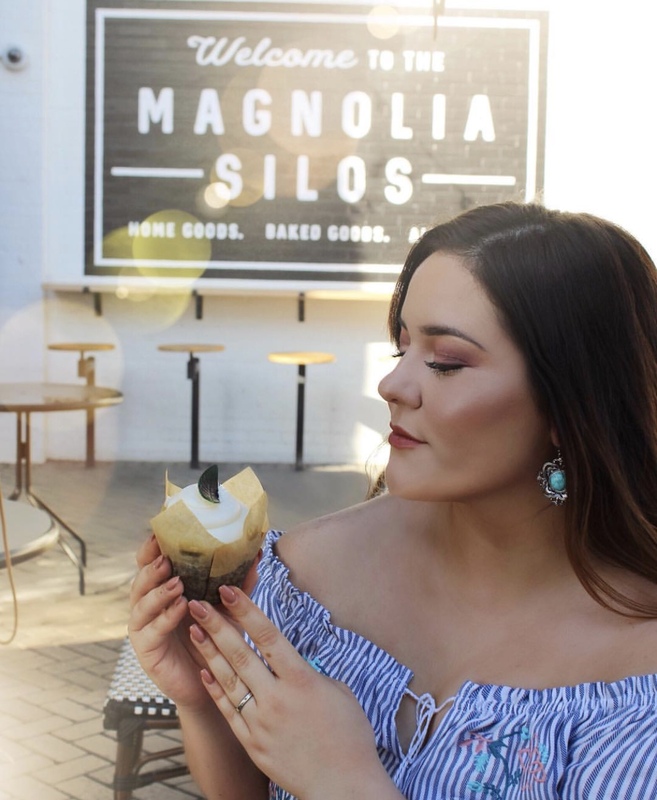 Can you do a post testing out more colourpop/afforable products? !